NEED SOME QUIRKY SUGGESTIONS? HERE ARE THE BEST WEDDING ENTERTAINMENT IDEAS! Having an extra special touch to your wedding with some super fun ideas can make all the difference. This is your one day to celebrate and bring out your inner child! 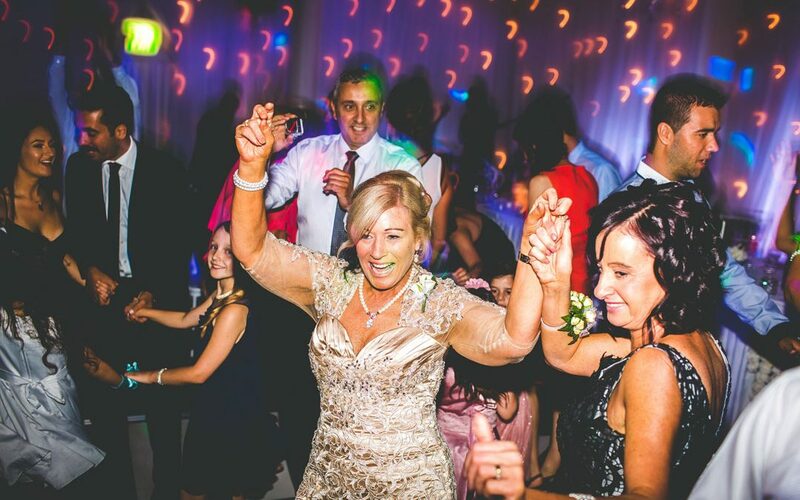 There’s nothing more exciting than having the best Sydney wedding band or Melbourne wedding band play live for your big day. Let’s face it, a live band is just so damn cool! If you choose the right wedding singer, they will get your guests up and involved. Once the sun goes down it’s all about the wedding entertainment to get the party started and have the right songs for weddings being played. Setting the right mood for your ceremony or over canapés is so important. Picture your guests drinking champagne or a fine lager over a beautiful sunset with gentle acoustic music. It really is the perfect combination and will keep your guests super relaxed before a big night of dancing! Seriously, who doesn’t enjoy jumping and throwing themselves against a padded wall! Imagine the smiles and laughter coming from your guests. Perhaps this is one activity you may want to go easy on the alcohol with. You don’t want to peak too early! There are a few super fun games (over canapés) that can help with keeping your guests entertained while you are off creating magnificent photos with your new hubby and bridal party. Everyone loves to have their photo taken with a fancy dress theme. Not only are photo booths quote affordable, they are a very simple way to entertain your guests. Who doesn’t love ice cream?! These days there are some really wonderful options with ice cream trucks. Not only catering for kids but also adults who have more mature taste buds than Mr. Whippy. Don’t get me wrong though, Mr. Whippy is awesome! Wanna go out with a bang? Obviously you would need permission, responsible handlers and a big enough outdoor space to set off some sparks. This would certainly be a talking point for your big day! This may not be for everyone though snakes and baby crocodiles always grab people’s attention. This may be a perfect idea to have a wildlife demonstration over canapés. Belly dancers, fire twirlers, jugglers, magicians, harpists, a string quartet, traditional Irish, Jewish, Greek, Italian musicians. The possibilities are endless and the list could go on and on as there are no limits to what you can have to entertain you and your guests for your wedding!